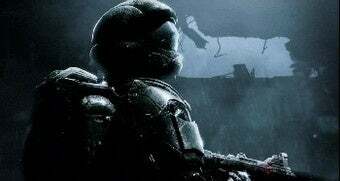 Bungie's cleared up "an oft-asked, but pertinent question" regarding multiplayer content on Halo 3: ODST. Specifically, yes, it will have all 24 Halo 3 maps. Just some minor housekeeping this week. We wanted to address an oft-asked, but pertinent question about the Halo 3 Multiplayer content that will ship with Halo 3: ODST this Fall. All twenty-four Halo 3 Multiplayer maps will be in the box. All shipping maps: The Heroic Map Pack, The Legendary Map Pack, Cold Storage, The Mythic Map Pack, and three brand new exclusive maps are included. So, if you don't want to buy the DLC maps or if you, like me, sold Halo 3 in a recession-induced fit of panic, you can climb back aboard when ODST drops in the fall.